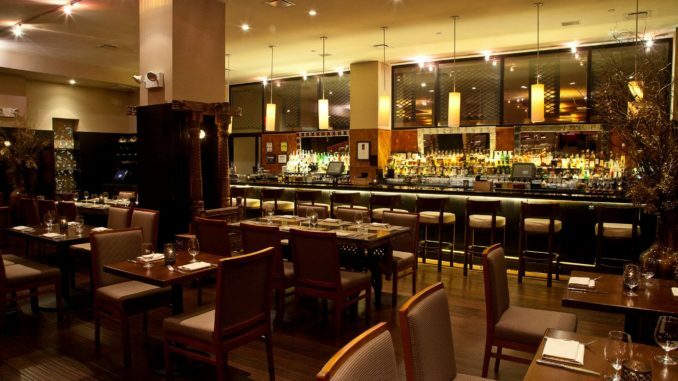 We have come to expect luxury dining from any restaurant in the Chelsea area, but Junoon manages to distinguish itself even among the crowded marketplace. Each morning, within the fine glass surrounds of the spice room, you’ll find head chef Vikas Khanna working on his secret spice recipes. We can discern the ingredients, but it’s the precise blend that makes visits to Junoon such a delight. Khanna uses seven whole spices including cardamom pods, cloves, and star anise both liberally and effectively as he goes about his food preparation. It yields spectacular results, such as the curry he serves with his lamb shanks. It’s a vivid burgundy shade which coats and complements the meat, which has itself been braised to perfection. It’s served at the point where it’s just on the precipice of sliding off the bone. The phrase ‘melt in your mouth’ is used too often, but in this case it’s both appropriate and accurate. The full Junoon menu skips from region to region of India and includes the Indian cookery methods you’ll have come across frequently (tandoor and handi pot cooking being the most common), as well as more specialized and unique methods (patthar dishes are cooked on stone, which gives the meat a distinctive flavor). There’s plenty of heat to be found in most of the dishes, with a healthy kick of piri-piri sauce present in most of the fish offerings, but you can always cool your tongue afterwards with one of the cocktails available in the restaurant’s front lounge. The average main course is a mere $30, so it’s kind to your wallet, too.